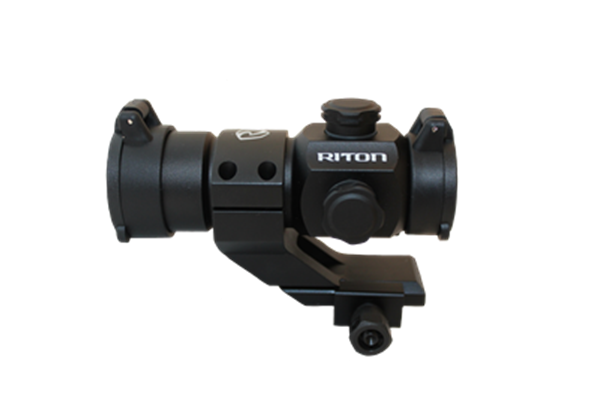 If you’re looking for a robust, lightweight and incredibly durable red dot sight, the RRD is the perfect optic for you. RRD (Rifle Red Dot) has a 2 MOA (Minutes of Angle) dot, is night vision compatible and can run up to 1500hrs on one single cr2032 battery. Comes standard with a lower 1/3 co-witness cantilever mount. One-piece aircraft grade aluminium, 30mm main tube is incredibly lightweight at less than 6 oz. Shoot to your heart’s content. What else could you want?